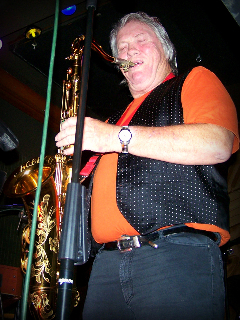 Bobby Keys was the sax player who performed with the Rolling Stones for many years. He was born in December 1943 near Slaton, Texas, and started touring at age 15 with Bobby Vee and fellow Texan Buddy Holly. Keys, a heavy-set man with jowls to match, and had a raw, piercing sound and was one of the few rock saxophonists to develop a name in his own right. He died from liver cancer in December 2014 in Franklin, Tennessee. The two men shared a taste for throwing televisions off hotel balconies. They both developed heroin addictions, which led to Bobby’s estrangement from the group. His sax solo on “Brown Sugar” is legendary. Bobby and Mick Jagger also became close in the early 1970s, with Keys serving as best man at Jagger’s wedding. He toured with the Stones through several decades. The list of musicians that featured his saxophone playing is incredible: Eric Clapton, Delaney and Bonnie, Paul McCartney, John Lennon, George Harrison, Ringo Starr, Joe Cocker, Harry Nilsson, Keith Moon, Leo Sayer, and many more. The South Dakota Rock and Roll Music Association is proud to honor Bobby Keys with the Spirit of Music award.